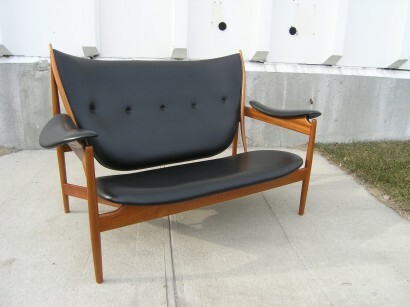 This large version of Juhl’s notable Chieftain chair is a rare example of his influential style. 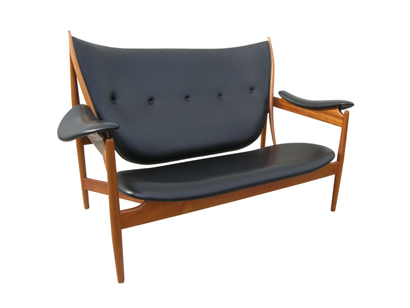 Designed in 1949, this stunning chair was originally produced in fewer than five examples. 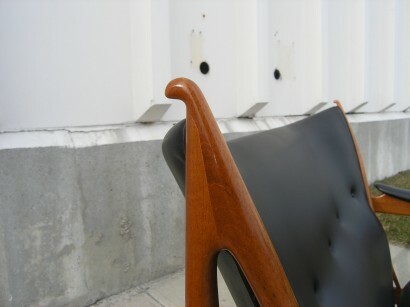 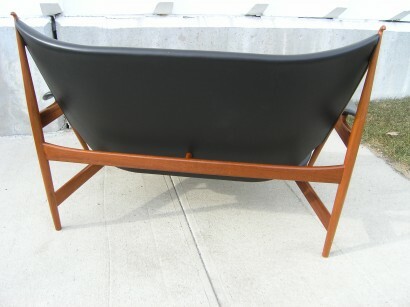 This Double Chieftain chair was manufactured in a very limited edition in Denmark by Niels Roth Andersen in the late 1980′s. 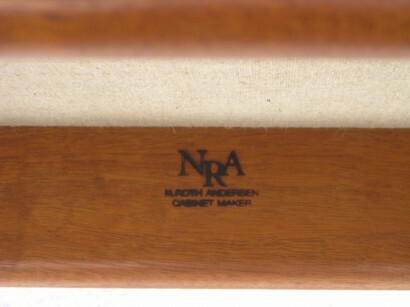 Signed with branded manufacturer’s mark to underside.